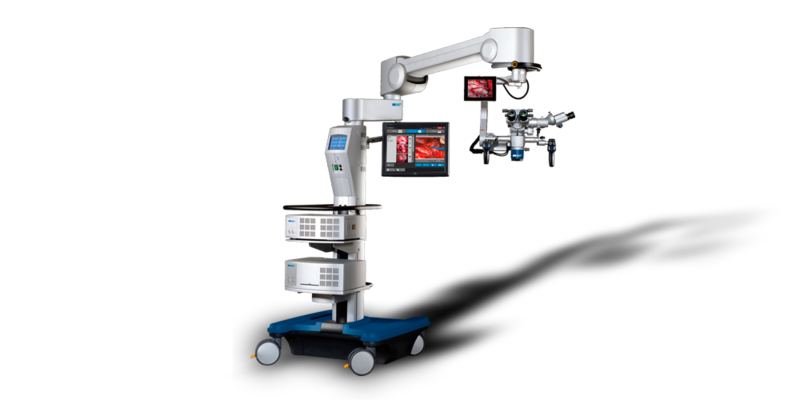 The advanced microsurgical operating system HS 3-1000 is based on the combination of the floor stand FS 3-43 with the operating microscope HS Hi-R 1000. It provides you with optimal working conditions as well as impressive modularity. The apochromatic optics and a unique stereo base of 25 mm ensure perfect color fidelity, strong contrast, and excellent depth perception. Electromagnetic brakes in the floor stand FS 3-43 support the smooth movements and minimize vibrations. Due to the stand’s long arm reach highest flexibility in the OR is achieved.